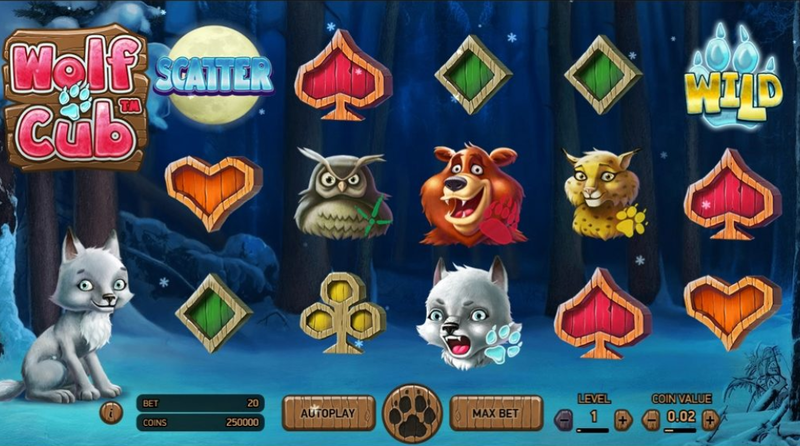 Experience what it's like to roam wild through the icy tundra and northern woodlands with a pack of adorable cartoon wolves when you enjoy one of NetEnt's most popular games on the casino market, Wolf Cub. 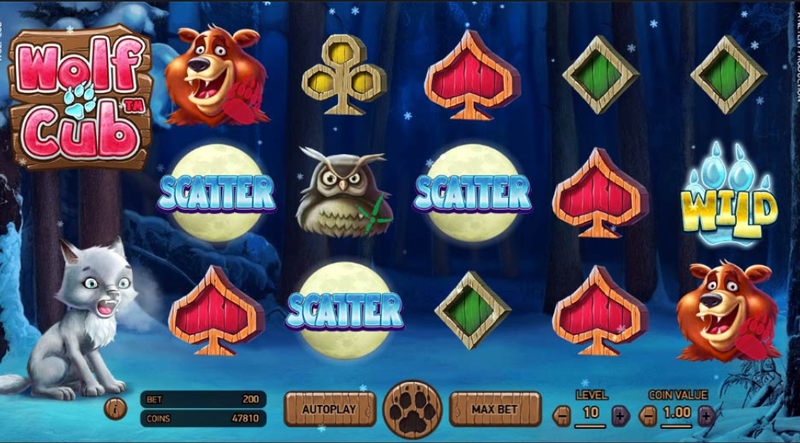 Step away from the hustle and bustle of the city life and immerse yourself in an icy wonderland under a full moon, where you'll be faced with 5 reels video slot games that will determine how much your winnings will be amplified at the end of the game. Because of the fantastic work the developers have put into this game, you'll really feel like you're a part of the pack that run across the snowy planes and have fun with the variety of other forest creatures that live and thrive in the world of Wolf Cub. If you love promo's, get the best slots promotions. There isn't a casino player alive today that doesn't know about the works and reputation of NetEnt. For many years now, they have strived to achieve the optimal goal of creating excitement and massive jackpots that the gamers can take away with them at the end of the day. As nearly all of their games deliver an RTP rate of 95-98%, it's really no surprise why so many avid online casino gamers return to play many of their products, as well as seeing what new products they have published online. And after receiving a high number of great reviews from their other games like Gonzo's Quest, Starburst, and Dracula, you will not be left disappointed once you've made your winnings on the magical and stimulating game of Wolf Cub! The game begins with a dark background set at midnight, where the trees sway in the background, and the snow gently falls across your laptop, tablet, or smartphone screen. Upon the 5 reels, you will come across a variety of base slot symbols of aces, diamonds, and hearts which activate winnings for you when they fall under a matching alignment. Don't forget about the adorable forest creatures like the bears, owls, lynxes and wolf cubs that you will definitely see on the reels too. The reels are set on 3 rows and are not formulated on a grid, so you'll be able to see the icons clearly without any problems. Aside from the base symbols, there are other symbols that you'll have to look out for that will trigger free spins and BONUS FEATURES too. Full Moon SCATTER: Land 3 of these symbols on the reels and you'll activate the Blizzard BONUS FEATURE. Blizzard BONUS FEATURE: Only activated when matching symbols are aligned on the 1st reel, this hidden feature will add extra winnings on any of the free spins. There aren't a lot of bonus features or extraordinary symbols that can make an adult wolf feel like he has claimed victory. But for the wolf cub, it's more than sufficient enough to make him howl at the moon under the midnight sky. If you want to feel like a young, spirited animal and run wild and free with all of the other forest creatures in the snow, give yourself some time today to try out Wolf Cub on your device!